Share the love with an electronic gift card from Go Strategic. Indicate the email and name of the desired recipient in the comments section of your order. 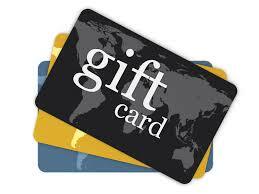 Gift card available for electronic redemption for any products or event registrations in GoStrategic’s online store. Gift card available for electronic redemption for any products or event registrations in GoStrategic’s online store. Share the love with an electronic gift card from Go Strategic. Indicate the email and name of the desired recipient in the comments section of your order.